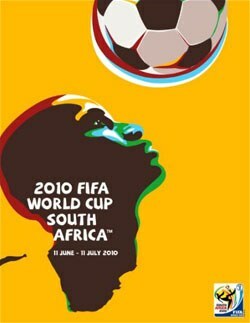 The 19th World Cup was played in South Africa from 11 June to 11 July. After a qualification phase, including a total of 204 national teams (a record), 32 teams would be given a place in the final tournament, including the automatically qualified host nation South Africa. Slovakia and Serbia would make their debut in the tournament. 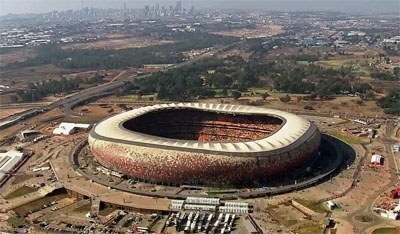 FIFA World Cup 2010 would be historical in terms of the location; it was the first time ever that the tournament was played in Africa (Morocco had been rather close to be the host in 1994, 7 votes against 10 votes for USA). But this time it was decided that the tournament would be arranged in Africa and consequently only African countries candidated for the hosting – Egypt and Morocco came closest in the bidding process. 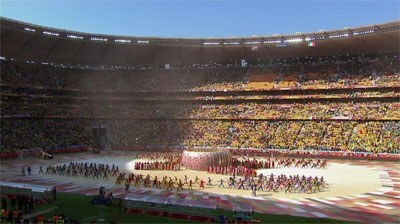 The football audience that had followed the 2009 FIFA Confederations Cup on television had been acquainted with the brass instrument named Vuvuzela, which filled the stadiums with a high and monotonic sound during the games. Since the appearance of Vuvuzelas disturbed a part of the spectators and conceivably the players as well a debate concerning prohibition of the Vuvuzelas arise before the tournament. No ban was, however determined. The format was copied from the previous tournament. Meaning that a first round with a group stage consisting of eight four-team groups would proceed to a second round with a knockout phase. The matches would be played in twelve cities and the same amount of stadiums (see “Cities and stadiums” box for overview). The biggest stadium where the final was played was Maracana Stadium (Estádio do Maracanã). It had been rebuilt for the tournament and had a capacity of 74,738 (which could be compared with the capacity close to 200,000 in 1950). First National Bank Stadium a.k.a. Soccer City. Brazil, Germany, Spain and Argentina were four of the biggest favorites before the start of the tournament. Argentina had the spectacular duo of Diego Maradona as coach and Lionel Messi on the pitch. After impressive performances by the Argentinian side, it would be an abrupt halt with a 0-4 against Germany in the Quarter-finals. Brazil would also be eliminated in the Quarter-finals by Netherlands. Spain and Germany, the other two great favorites, would meet in one of the Semi-finals and the result would be a reprise on the Euro 2008 final between the two teams. In the other of the Semi-finals Netherlands would defeat Uruguay in a somewhat brutal game. The brutality that escalated from the Netherlands side in the final should have resulted in two red cards. Nigel de Jong kicking a player (Xabi Alonso) instead of the ball. When Andrés Iniesta on extra time scored the only goal in the game for Spain it felt morally deserved. Spain that were the reigning European champions managed to win the following World Cup, which only West Germany had succeeded with before. FIFA World Cup 2010 would include 64 matches in which 145 goals were made (2,27 goals per match). Spain would beat the Netherlands in the final with 1-0, after extra time. United States – Ghana 1–2 a.e.t. Netherlands – Spain 0–1 a.e.t. Spanish celebration after the final.